Delivering up to six CPU cores on the more efficient 32nm architecture, using software optimised to utilise multiple processor cores, and multiple threads within the processor cores, can yield significantly more processing power than past generations of CPU. Aside from squeezing more cores into a single physical processor, Intel also continues to advance the energy efficiency of the CPU with each evolution. 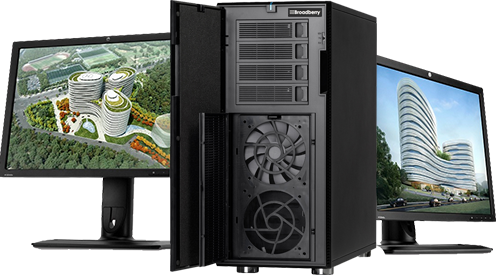 Broadberry workstations are able to crank out more computing power while drawing less electric power, cutting down on your energy costs. Each core in the Xeon 5600 is a bit faster than the 5500 series. 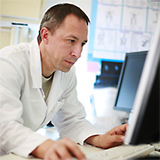 Workstations based on the Intel Xeon processor 5600 series deliver an expert workbench experience. Designed with two intelligent processors for content creation, visualisation, and simulation, the Intel Xeon processor 5600 series enables up to 38% improvement in performance for digital content creation and advanced workflow modelling. Using hyperthreading boosts performance by at least 30%. 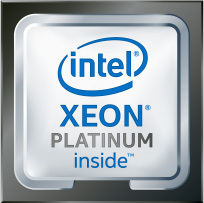 The Xeon 5600 also supports more memory and higher clock speeds. 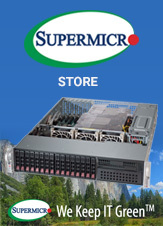 Enabled by new Intel Turbo Boost Technology, Intel Xeon processor 5600 series automatically moves into the lowest available power state and without compromise to performance. With two high-performing processors, these systems quickly transform complex data into actionable information. If you're looking for an energy-efficient system that gives you the power and flexibility you need, upgrade to the Intel Xeon 5600 workstation. Broadberry dual Xeon graphics workstations utilise the cutting-edge Intel Xeon Quad/Six Core Processors to give you the best possible performance for high end DCC, CAE, Simulation and Visualisation. Our customers include BBC, ITV, GMTV, Tesco, Sony, Toshiba, 3D Labs, Creative Labs, Toyota, Walt Disney, Lockheed Martin, US Army, US Navy, US Air Force, British Ministry of Defense, plus many more. All of our Graphics Workstations incorporate the newest NVIDIA Quadro and AMD Firerpo professional cards. Modern applications harness the latest NVIDIA CUDA parallel processing architecture of Quadro GPUs to deliver performance gains up to 8x faster when running computationally intensive applications such as ray tracing, video processing and computational fluid dynamics. With the new GeometryBoost Technology and AMD PowerTune Technology, the latest Firepro cards packs a huge punch in a single slot solution, making it the perfect solution for professionals working with a broad range of applications, moderately complex models and datasets, and advanced visual effects. Combined with the Eyefinity technology, these cards make an ideal workstation for those who work with more than two monitors. AMD Eyefinity technology enables you to run up to six independent and simultaneous displays with a single graphics card. 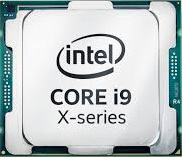 Workstations based on the new Intel Core microarchitecture and their quad/six core technologies can give you unprecedented performance in quieter, cooler and potentially smaller packages. You can now iterate and innovate faster and decrease the time between the idea and a product. Intel Xeon processor 5600 series designed for the real workstation user, quad-core and six-core Intel Xeon processor-based workstations transform would-be workstations into workstation supercomputers. With up to 8(quad-core)/12(six-core) computational cores and 16/24 threads respectively to handle parallel workflows, operating up to 60 percent faster than previous generation processors, you can transform complex data into actionable information in less time than ever before. Performance, reliability and expandability have been integral in the design of our Xeon Workstations, with our system boards featuring the latest chipsets, dual Gigabit Ethernet Networking and support for up to 192GB RAM.